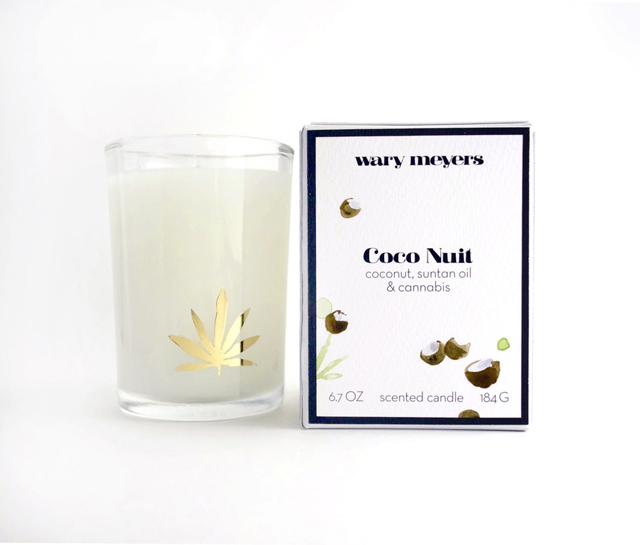 "A deep, lush, Caribbean scent composed of beachy coconut, dark suntan oil, and fresh green cannabis. Takes you back to your beach chair when the hot day turns to hot night and you didn’t even realize it. Blissful and nostalgic." "Farm-fresh milk and sweet cream with hints of brown sugar and a light cloud of warm leche. 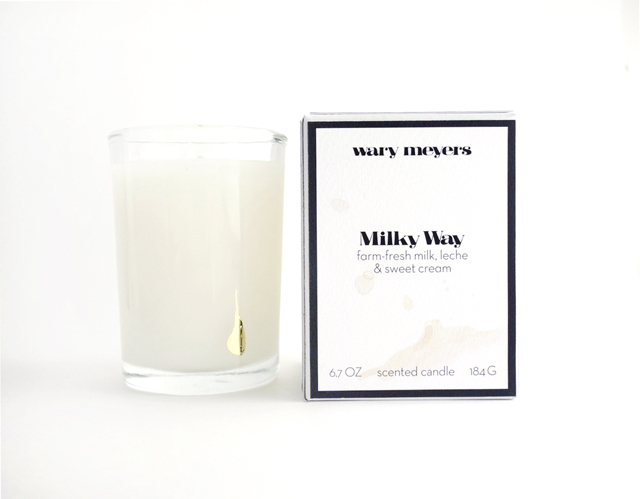 Has the creamy, cosmic mellowness of being poured by milk maids inside a warm honeycomb on the moon." 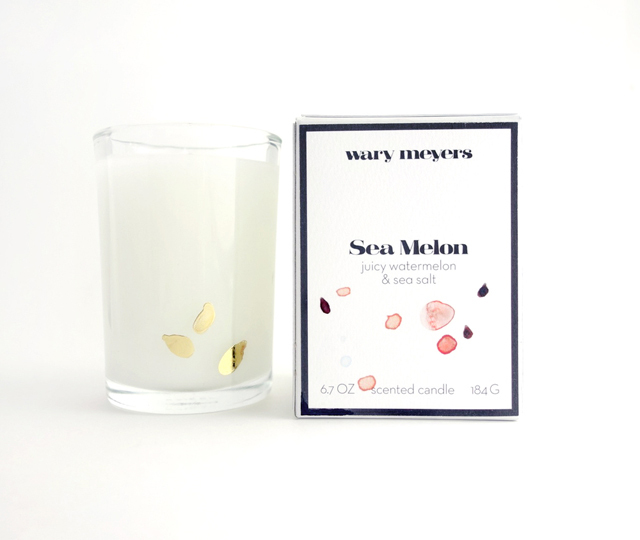 "The sweet fragrant smell of a ripe summertime watermelon drenched in salty seawater and sliced open on a driftwood table on a seaweed-lined beach. Sweet, salty and refreshing." 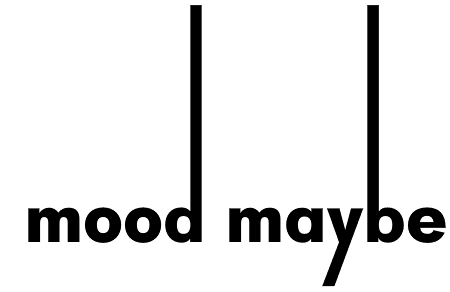 "The rough-hewn balm of cedar and woodsmoke, drifting low and winding its way through the deep Maine hinterlands. Undertones of native balsam, burning pine, and primitive musk. 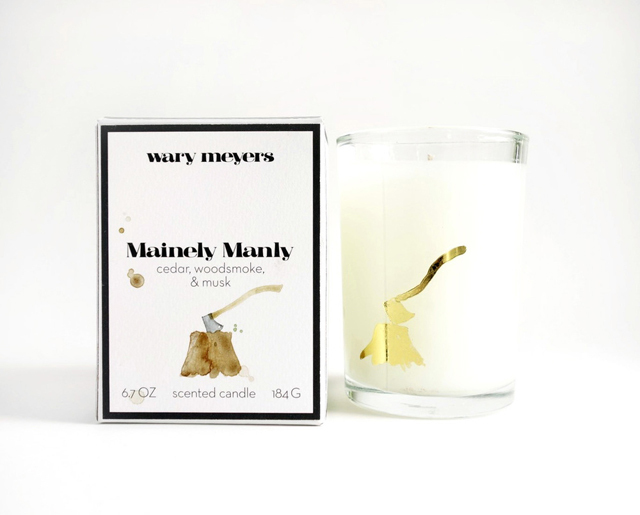 Manly, yes, but with a soft, close whisper of patchouli on the bearskin rug in front of the fireplace." 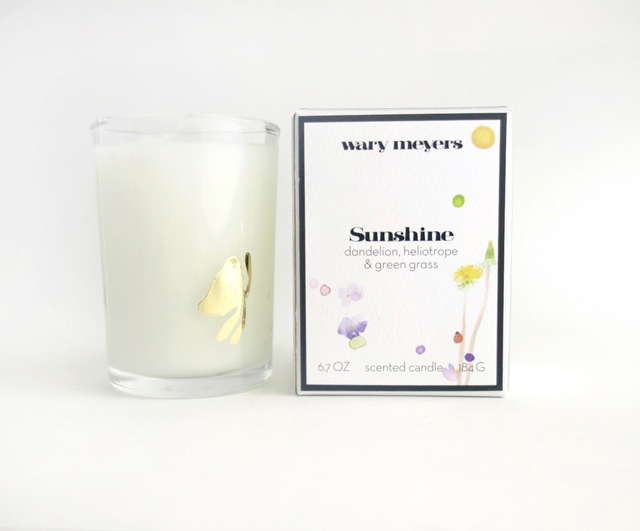 "The enchanted scent of heliotrope, yellow dandelions, and fresh summer green grass with soft floral notes of weeping willow, buttercups & fairy dust. The hot air shimmers and the dragonflies hum on a lazy afternoon of daydreaming in a light-drenched, butterfly-filled meadow. The sun is out, the birds are singing." I'm pretty excited to get my hands on one of them — as far as fancy, artisanal candles go they're a reasonable $28 — but it's hard to choose. Am I more in the mood for a seawater infused watermelon? Or cosmic moon leche? Which scent/vibe would you go for? Sarah, so true! You could make the inside of your house smell like outside, especially during winter.